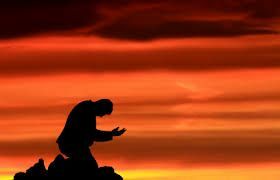 Nach dir, Herr, verlanget mich (For Thee, O Lord, I long), BWV 150, is an early Lutheran church cantata by Johann Sebastian Bach composed for an unknown occasion. 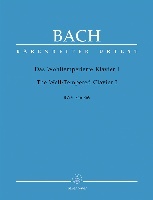 It is unique among Bach's cantatas in its sparse orchestration and in the independence and prominence of the chorus, which is featured in four out of seven movements. Although the exact date is not known, this is one of Bach's earliest surviving cantatas. Some sources say it dates from Bach's early years in Weimar (from 1708). However, it may well be earlier. The Zwang catalogue (which lists the cantatas chronologically) dates it as the sixth of the surviving cantatas by Bach (composed 1708–1709), and places Aus der Tiefen rufe ich, Herr, zu dir, BWV 131, composed in 1707, as the earliest. The scholar Hans-Joachim Schulze identified a remarkable acrostic in the concluding four movements (which he described in the 2010 Bach-Jahrbuch, the journal of the Neue Bachgesellschaft). Adjusting for transposition errors by the 1755 scribe, C H Penzel, the initial letters should spell DOKTOR CONRAD MECKBACH and plausibly therefore the work was composed to mark this Mühlhausen councillor's 70th birthday which occurred in April 1707. On this basis the cantata may date from Bach's time in Arnstadt, where he was organist of St Boniface's church until his move to Mühlhausen in the summer of 1707. Possibly the cantata was heard a few weeks later after the end of Lent, and thus it may have formed a test-piece for the Mühlhausen appointment, composed in Arnstadt with Bach's supporter Meckbach in mind. The libretto alternates between biblical verses and free poetry (a rarity among Bach's early cantatas). The text of movements 2, 4, and 6 is from Psalm 25 (vv. 1, 2, 5, 15). The author of the poetry is unknown. The work was written for an unspecified penitential service. The work begins with a sinfonia and then alternates choral movements and arias. There are no recitatives, no da capo repeats, and there is no chorale tune. Bach makes extensive use of choral fugues and imitative polyphony, often shifting the tempo and character of the music within movements very quickly to accommodate a new musical idea with each successive phrase of text. The sinfonia and the opening choral movement are both based on the motive of an octave leap followed by five descending half steps. This chromatic figure, sometimes dubbed the "lamento bass" or passus duriusculus, has been utilized by composers as early as Monteverdi as a musical representation of anguish, pain, and longing. The sinfonia also introduces thematic material developed later in the work, uses asymmetric phrasing, and "a seamless flow of unstoppable melody". The second movement is "waywardly constructed despite its relative brevity". It is episodic, emphasizing a descending chromatic scale motif. The following soprano aria is also brief but includes significant word painting. The fourth movement is another short and episodic chorus, divided into four sections. Movement five is one of only a handful of vocal trios to be found in Bach's oeuvre, as well as the only movement in the cantata in the major mode, shifting from B minor to D major. The penultimate movement features a "celestial haze" of instruments as part of a complex texture. It is in binary form and modulates from D major through B minor to B major. The ground bass in the final movement chaconne is the inversion of the chromatic fourth ostinato from the opening movement that goes through a series of modulations. Both the inversion of the lamento bass and the modulations express in baroque musical affect how Christ leads from sorrow to joy. The theme of this closing movement was adapted by Johannes Brahms for the Finale of his Symphony No. 4. 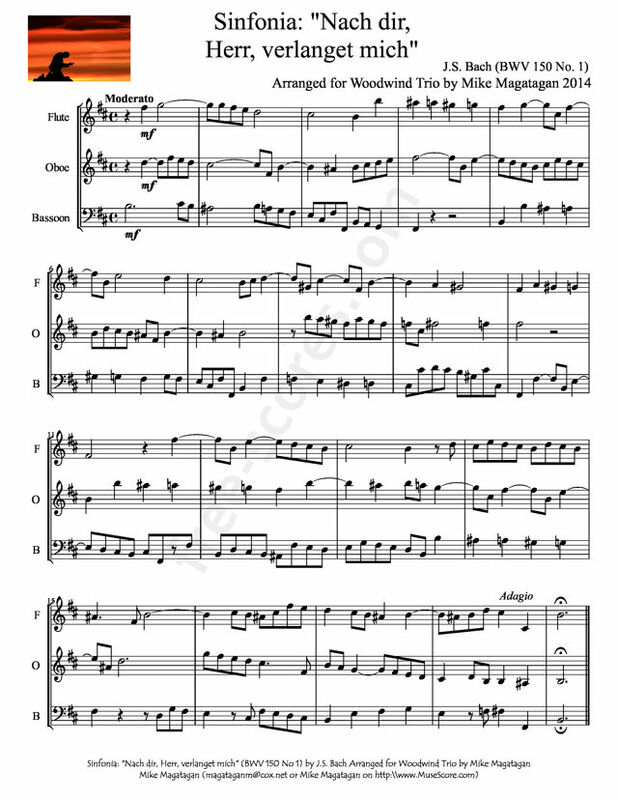 Although the cantata is scored for soprano, alto, tenor and bass soloists, four-part choir and a small orchestra of two violins, bassoon obbligato, and basso continuo, I created this arrangement for Woodwind Trio (Flute, Oboe & Bassoon).